Over the past couple of weeks, my shower has become my prayer cell: standing with my back to the spray, letting the water minister to my sore muscles and my tired soul. I take a shower at least twice a day now. If I need to cry a little, I can. (Usually by this point in pregnancy, it doesn’t take much to get me crying.) If I need to sing old Keith Green songs, I can. If I need to pray—I always need to pray—I can pray snatches of Scripture and surrender without audience or interruption. But on this night, I found myself thinking of a few things I’d seen in the news. Over the past couple of days three famous women went viral for daring to reveal their real bodies: stretch marks on supermodel Cindy Crawford, facial imperfections on Beyoncé, the woman who woke up like this, and Kate Middleton daring to show her grey roots. The Internet collectively lost its mind over the shock—SHOCK!—that their beloved beauties are in fact, real. This is what so much of the world tells women: you’re only as valuable as your photoshopped and curated self. I turned off the water and carefully stepped out of the tub, reaching for a towel that no longer wraps around my body. I stood in front of the steamy mirror and grinned at my own reflection. I am days away from giving birth, you see. I am puffy and tired. My hips ache, my breasts have changed and my abdomen defies the laws of physics. I have big babies and they have left their mark on me. I have silver stretch marks on the sides of my body from my first, then on the lower part of my abdomen from my second, the ellipses on the sides of my stretched out belly button are the gift of my third, and this fourth baby, she has made her mark now, too: bright red and dull blue lines like a map criss-cross down the centre of my body landscape. Someday these marks, too, will fade to silver like the others but they will remain with me. My skin has been stretched to accommodate new life. My body bears witness to the ways that living my life all the way through is changing me. And I think my body is more beautiful for these very imperfections. 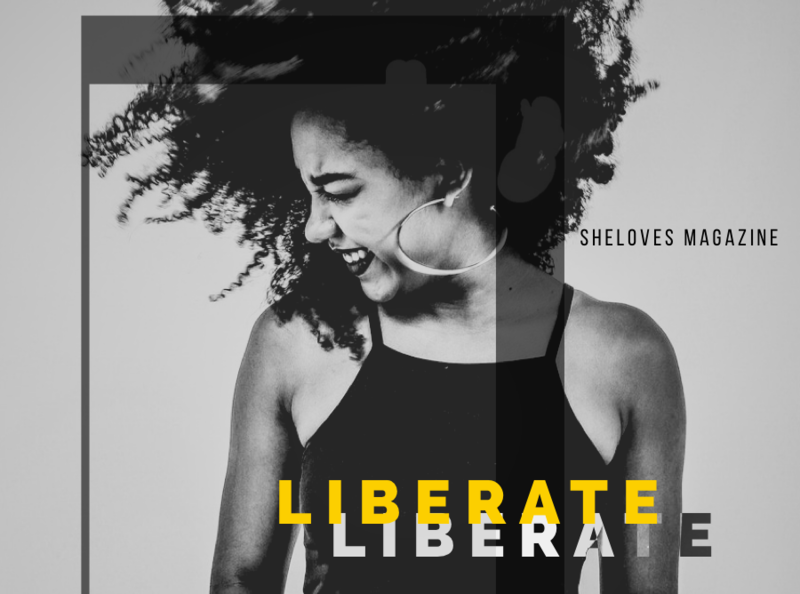 To some, my stretch marks and grey hair, my freckles and my round body are impediments to overcome, a flaw to fix, a battle to wage war against. And yet those are the very aspects of my body that I have come to love because they tell me the hard-won stories of my own life. I believe that our citizenship in the Kingdom of God is a bit upside down to the world’s ways. After all, our imperfections, our mess, our reality only makes us more beautiful, more valuable, more precious. The very things that the world disdains about us can become our greatest ministry to one another, make us precious to the ones who love us, or become our altar for meeting God. The same thing holds true for our whole selves: the world only tells us the places where we are broken, the places where we’ve failed, the places where we are weak and imperfect and inefficient. But the Gospel tells us that those places, the places of our dry desert and lonely wilderness, will bloom with beauty and richness. The mended places are places of strength for us. What the enemy meant for evil, God will use for good. We need never cower in secrets and illusions of perfection: redemption is flawless. So much of being born again is having eyes to see and ears to hear. We look past the world’s value system and score boards as the lie. 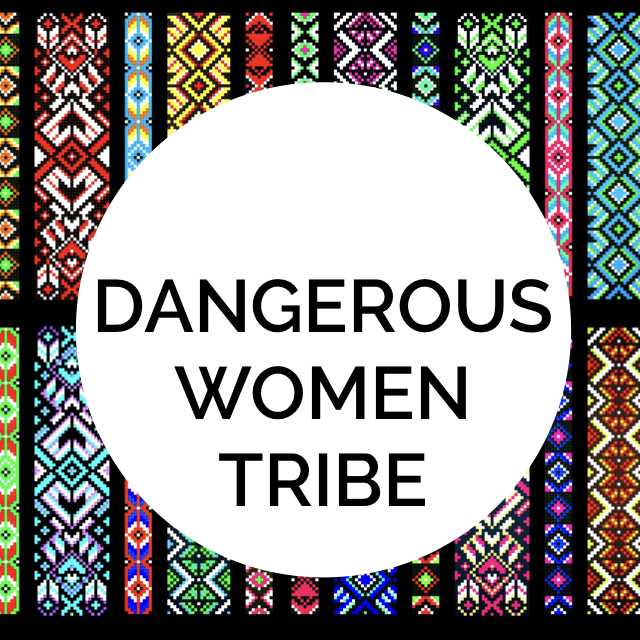 We see that bravery and love, kindness and strength, sacrifice and beauty are more subversive than we ever imagined. 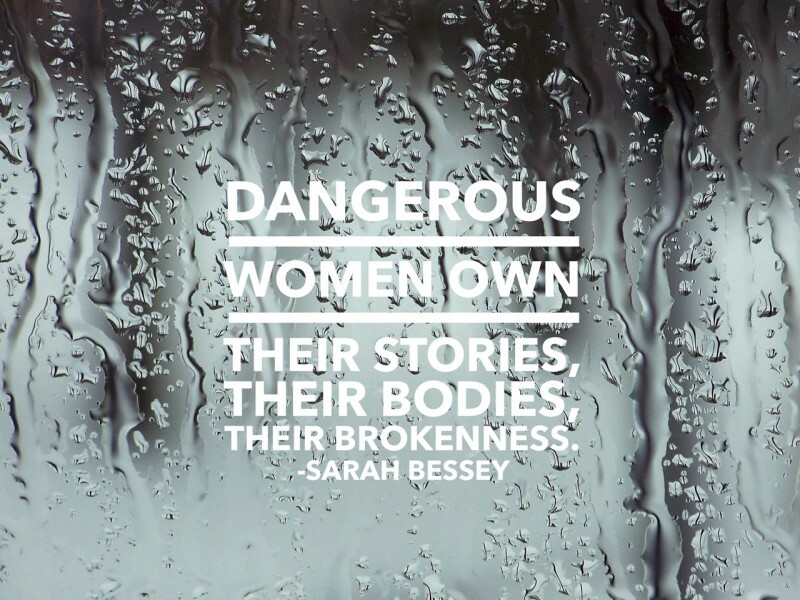 I believe that dangerous women own their stories, their bodies, their brokenness. They live their whole lives as invitations to wholeness, a beauty that embraces and subverts the whole of our stories, embodied. Sarah Bessey is the author of Out of Sorts: Making Peace with an Evolving Faith and Jesus Feminist. She is an award-winning blogger and writer who lives in Abbotsford, British Columbia with her husband and their four tinies. You can find her online at SarahBessey.com or on Twitter at @sarahbessey.